With the arrival of the cooler months, it’s time to get your heating situation sorted. Recently a great selection of efficient new heaters have been released that could help reduce your heating bill. Here we have complied a list of our pick of the bunch – finally, a bit of cool in the range of environmentally friendly heaters! Our favourite – the LAVA ® glass radiator heater. This heater can be fixed onto a wall, plugs into a standard power outlet and can display any picture of your choice. Imagine your favourite photo being put onto glass and hung on the wall – and keeping you warm. Cleverly, you can choose mirrored glass instead of a picture for this model, making it an ideal addition to your bathroom. Better still, this ‘dual duty’ item can easily be dismounted and taken with you should you move houses. You really have to love the ingenuity of the LAVA ® glass radiator heater. Up to 30% more energy efficient than other convection heaters on the market, the LAVA ® glass radiator heater can be purchased Australia-wide through Warmer Australia from $1,000 per panel. “Chic hydronic” are the words we’d use to class the Designer Hydronic Heating panels from Hunt Heating. Featuring a great range with a difference, Hunt Heaters show that hydronic can be as interesting as well they are efficient – and good for asthma sufferers too. Make sure to check out a few key pieces from the range that provide function as well as practicality. A word of warning – don’t be surprised if a few of these brilliant designer models are mistaken for a piece of artwork rather than a heater! Supplied by Hunt Heating, these models are available Australia-wide from various prices per panel. They offer efficient heating with individual control of radiators, and are very asthma friendly and eco friendly. Panels are water heated, ideally using solar with a gas booster, although non-solar options are also available, gas is significantly more efficient and cheaper to run than electricity. If you’re a fan of “real fire” then Pellet Fires are just what you’re looking for. While these heaters present a more traditional feel, they are one of the most modernised versions on the market. Pellet Fires are extremely eco-friendly because they use a waste product as fuel – wood shaving pellets that look like chicken feed, burn very efficiently and feature a ‘clean’ burn while producing a radiant heat in the room that you can control. Currently, these are some of the most efficient heaters around, and with the design getting more in line with modern home décors we expect them to be very popular. Starting from $2750 in price, these models offer efficient and clean heat, an adjustable flame and are powered by waste product for fuel, meaning there is no use of gas or electricity – only pellets. 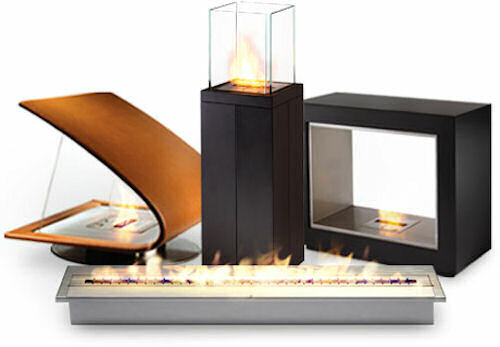 Last but certainly not least we have the bioethanol fire. The fuel itself that feeds the live flame of the bioethanol fire is basically mentholated spirits, and is considered to be a ‘clean’ fuel. This means that you don’t need a flue or chimney, and can have it can sit on a table, in the garden or any other suitable place. Although it can be a little more expensive to run, the clean burn makes it extremely eco friendly, and also happens to look lovely. Supplied by EcoSmart Fires, the bioethanol fire can be found at G-Store in Melbourne and various other places Australia-wide. 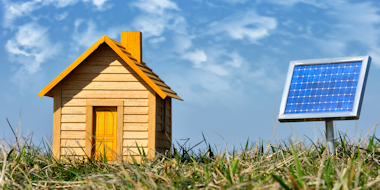 How to Find Energy Efficient Features in Your Next Home Rating Your Home Thermally Efficient Homes What’s Going to Happen to Property Prices as We Head into Winter?